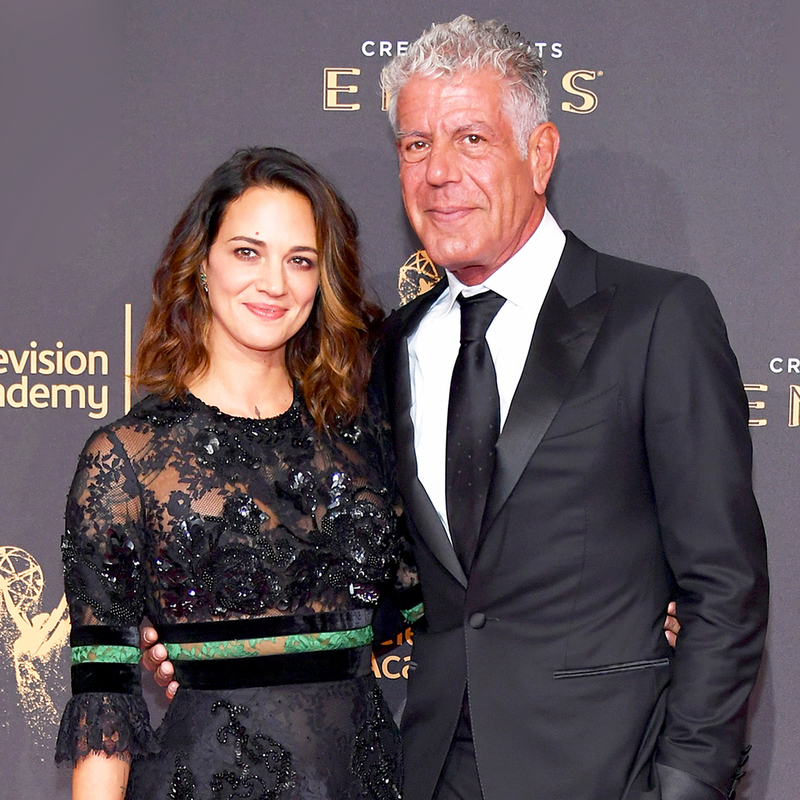 Anthony Bourdain has taken to social media to support his girlfriend, actress Asia Argento, amid her accusation that Harvey Weinstein sexually assaulted her in the past. As previously reported, Argento, 42, claimed that the film producer, 65, sexually assaulted her at the Hôtel du Cap-Eden-Roc in France. She detailed the alleged 1997 incident in a bombshell New Yorker expose, which was posted on Tuesday, October 10. In The New Yorker, Argento said that she repeatedly said “no” to his advances. “I knew he has crushed a lot of people before. That’s why this story — in my case, it’s 20 years old, some of them are older — has never come out,” she explained. Three years later in 2000, she wrote and directed the film Scarlet Diva, in which a producer corners her character and asks for a massage and tries to assault her. Argento claims that women went up to her afterward and said they recognized Weinstein’s similar behavior from the scene in the movie. Since The New York Times first posted allegations about harassment by Harvey Weinstein on October 5, stars have come forward alleging that Weinstein has sexually harassed them, including Angelina Jolie, Gwyneth Paltrow, Ashley Judd, Mira Sorvino and Rosanna Arquette. Others have condemned his alleged behavior, including Ben Affleck, Jennifer Lawrence, George Clooney, Kate Winslet, Jessica Chastain, Meryl Streep, Amber Tamblyn and Glenn Close.